In the past years, we have seen budgets for online marketing activities rise. News sites and social media channels such as Facebook are competing to grab the biggest slice of the budgets. Advertisers are seeking innovative and effective ways to reach their target groups across different channels. 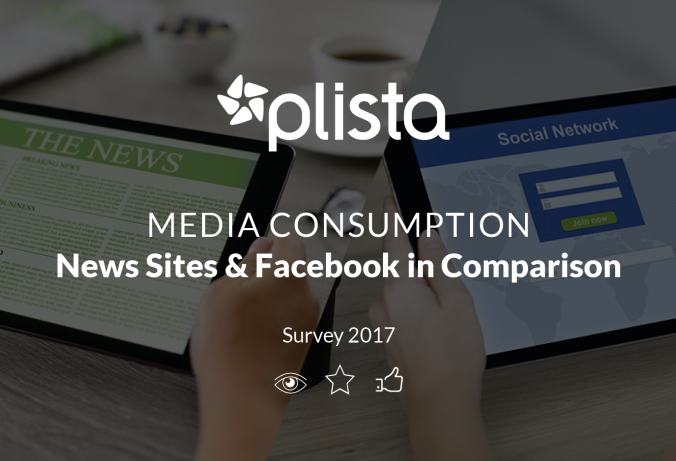 Find out more on user’s media consumption of the different channels in our infographic. For example, Facebook’s ads promise a great reach and access to cross through many targeting options. However, the latest case of Procter and Gamble on hypertargeting showed that it is time to have a look at new ways of digital advertising. This is where native advertising on news sites steps up the game. Another reason to have a look on going native is that ads on channels such as Facebook are placed in a very private environment. We wanted to see how acceptable advertising is in private spaces and which conclusions we can make for the digital advertising industry. Therefore, we conducted a market survey with independent eye square GmbH to find out more about the media consumption behavior and perception of different media channels. More than 800 participants answered our questions. Consequently, we found that focus, trust and the acceptance of ads on news sites were the highest responses overall. See more detailed results in our infographic below. Want to stay up-to-date? Subscribe to our monthly digital trends here and receive news on native advertising directly into your mail box.